Volunteers are an important part of the team here at ArtStarts. We have a bright, skilled and enthusiastic group who really make a difference to the organization. That's why we'd like to highlight a few of them here on the blog, and publicly acknowledge the fine work they do. We're actually going to start by catching up on an overdue thank you to our volunteer Abbey Jackson, who just finished her time at ArtStarts this Spring. Abbey is a very creative and talented multidisciplinary artist. She's also very tech savvy, which is an aspect that we liked at ArtStarts as she often helped with research. Abbey's presence was always uplifting due to her high-energy personality. ArtStarts is certainly not the only place where she gets involved; the local politics of arts is very important to her and she is a strong advocate. "I have been volunteering at ArtStarts for about a year and a half. Through that time I have come to feel like I belong, like I am part of the family. The ArtStarts family is full of enthusiasm, support for each other, love for children and the arts, and most of all they have dreams -- big dreams! I find the enthusiastic nature of everyone to be positively contagious! 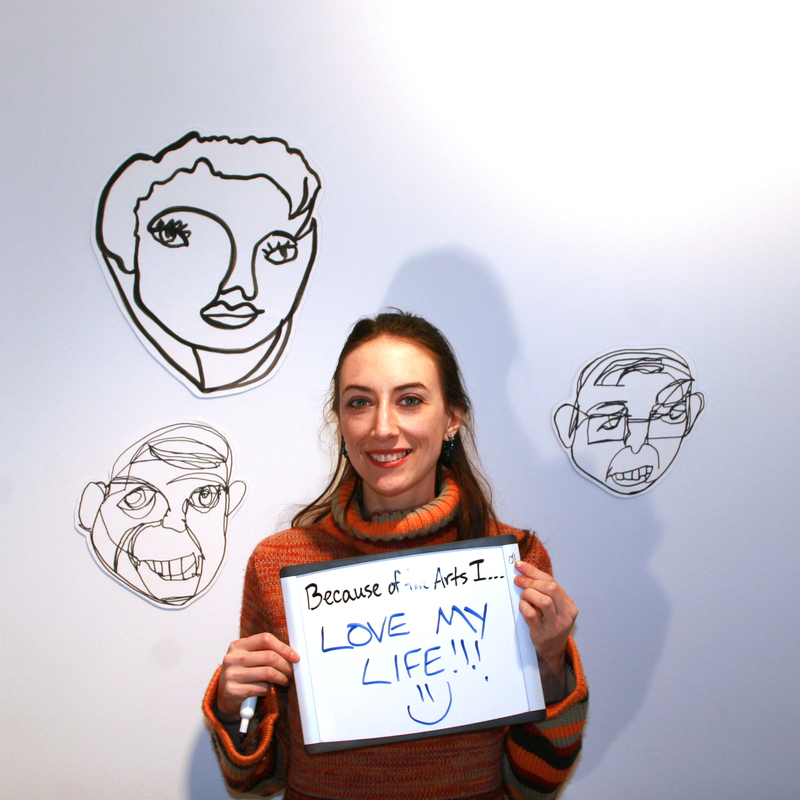 The people who work and volunteer at ArtStarts are beams of positivity and I always look forward to my shift!" From the whole team at ArtStarts, we wish Abbey the best of luck with her new adventures! Read more volunteer profiles and stay tuned for more to come. To learn more about volunteering opportunities at ArtStarts, visit the Volunteers page.